Rest in the beachy style of the Baystorm full panel bedroom set. Its driftwood and surfer-inspired smoky finish gives any bed a rustic look that’s perfect for creating an island escape in the room. Clean lines and modern charm blend for an authentic look to be enjoyed for years to come. 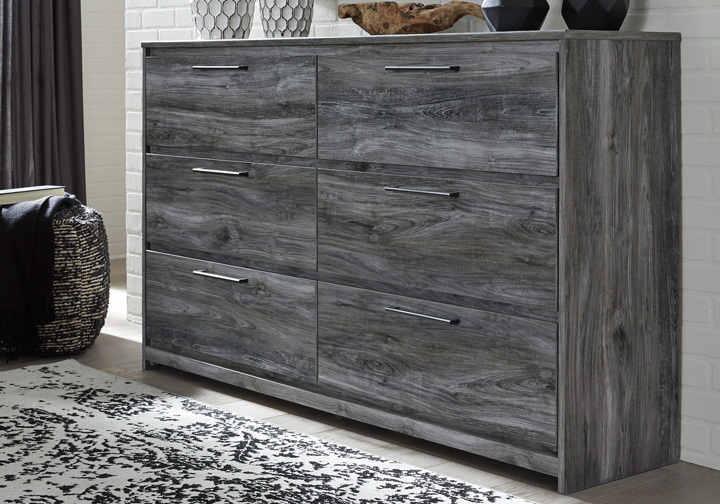 Smokey gray finish over replicated Oak grain with authentic touch. 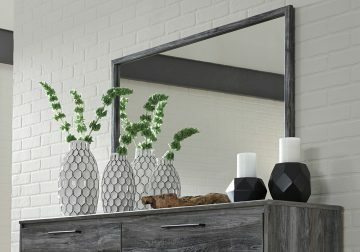 Contemporary handles in an antiqued gunmetal finish. 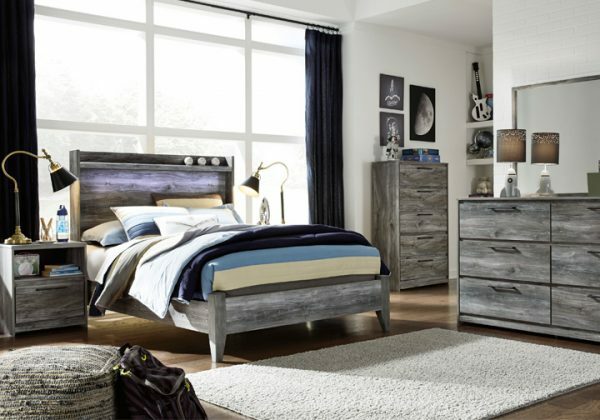 Storage bed option features 6 drawers of storage. Cases feature faux linen finished drawer interiors. 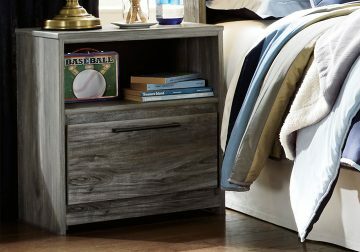 Modern bookcase headboard includes a dimming LED light under the shelf. Slim USB charger located on the back of the night stand tops. Side roller glides for smooth operating drawers. 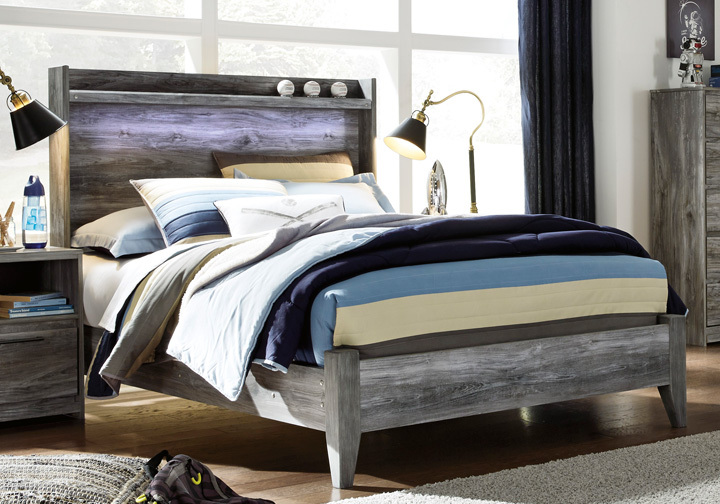 Queen (57) and King (58) headboards can attach to a bolt-on metal bed frame B100-31 or B100-66 respectively. Queen and king storage footboard (54S, 56S) requires the B100-13 or B100-14 roll slats. Modern styled canopy bed with substantial posts and canopy frame. B221-48 is compatible with our W100-01 or -02 fireplace inserts.